We are LIVE tonight at 10pmET! Join us! 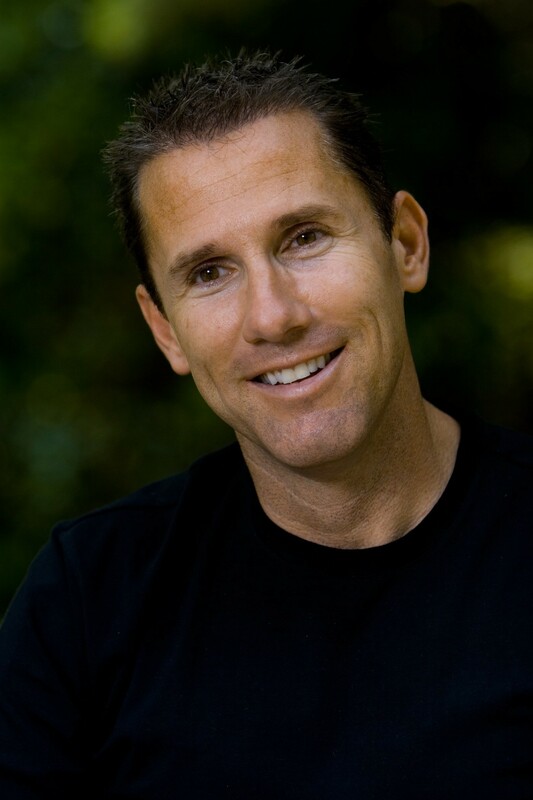 As I mentioned in a previous post, I was part of a bloggers roundtable who interviewed author Nicholas Sparks. It was an amazing experience to actually “talk” to Mr. Sparks. It’s important to note prior to the call I was informed we would be able to ask questions round robin style and I would probably have the opportunity to ask 2 maybe 3 questions on any topic although Mr. Sparks was promoting the film release of Nights in Rodanthe. Well, when the call started I have to confess I was really nervous. The moderator requested we press *1 when we were ready to ask our question. I hesitated and waited about 3 min before pressing *1. As it turned out, the interview started about 15 min late and that meant the total time for questions was cut short. When it was my turn to ask a question I really struggled on what to ask in fear it would be my only question. Would I ask something about the new movie Night in Rodanthe? …or maybe something about writing in general…like his inspiration or does he outline his books. I had done a ton a research, as much as possible in the 24 hours I had to prepare. In the end, after a prayer to the good Lord above it came to me. I’d ask something about his new book The Lucky One whose lead character is a Marine. Now it seems logical, but at the time I really wasn’t sure. In the end I was very happy I asked the question since it was my only one. I was surprised at Mr. Sparks candor and level of detail he supplied in his answer. I hope this interview is the first of many. The Lucky One release date is this Tuesday Sept. 30th, I’ll be at Sams picking it up and will clear the decks this weekend to finish it. Click here for book tour info. Thank you again to Nicholas Sparks, Andrea, Gemma, and my fellow bloggers on the call: Megan, Tracy, Susan, Jenna and Ashley. Wendy: It’s great to see military service members as lead characters in your novels. I’m wondering what is your military experience or background if any? And what’s your inspiration for writing these characters? Nicholas Sparks: My whole family was in the military. Both my grandparents, seven of my uncles, five of my cousins. I also live in North Carolina. You know 35 minutes to the south of me is Camp Lejeune and 50,000 Marines and their families. 15 minutes to the southeast is Cherry Point, another you know 7,000 Marines and their families. An hour to the west is Seymour Johnson Air Force Base and then you know about an hour and 45 minutes southwest is Fort Bragg. So I am surrounded by the military. And it is just a way of life here and it is an honorable profession here. It is regarded as something, you know a good choice for a number of different, as a profession. So it’s just been part of me growing up. You know I had cousins, I had three cousins who served in Iraq and Afghanistan. So it’s just part of our family’s culture. And then it’s part of my personal culture living in this area as well though I did not ever, no, I was not ever in the military. I’m very sensitive to the way military people are portrayed. Like there’s the way Oliver Stone does it and then I’m the exact opposite. I tend to see the good in these people. I tend to see the sacrifice that they do. I tend to see the honor in what they do and I tend to see the personal effects on their families of what they do. Because of course I’m here you know. We work, one of the people who works for us, her husband is in Iraq right now. And so you, I live with it you know on a daily basis. What she goes through, the sacrifices that she’s making and she’s certainly not alone. My neighbor the same thing. You know he went to Iraq. He was a Chaplain and so he was always being posted over there with the Marines. So I’m just surrounded by them, I know them well, I know the families, I see the families and I see the humanity and just the overall goodness as a general rule. So Dear John of course was about the Army. You know that was an Army veteran. But my next novel The Lucky One was about a Marine. And of course I’ll eventually make my way through all of the service branches. AT: (Regarding the movie Nights in Rodanthe) How do you feel, how accurate of a portrayal is it compared to your novel? Nicholas Sparks: It’s very close. It’s, you know all of my novels tend to be fairly closely adapted. If you’re going to go in and look for, if you’re going with a yellow sheet of paper and a pencil looking for specifics of course you’ll find them. But the overall theme, the emotional arcs of the characters, the vast majority of the story, the way you imagine the place to look, the interaction between the characters, all of this is essentially the same. Any differences that happen really come down to just the differences between books and movies. A book is a story told in words and a film is a story told in pictures. And that very essential difference means you have to do some things differently because some things work great in one and not the other and vice versa. For instance, in novels introspection works great. You learn all about the character but you can’t film someone thinking. Nicholas Sparks: It just doesn’t work. It’s a very boring film. And then you know conversely the, some things work great in film, they tend to work better than they do in books. Anything involving a fire, a car chase, intense emotion. These things work very well because you can see what’s happening. And you know you can describe a, you know a fight in a book. But man you put it on screen and it looks that much better. Nicholas Sparks: And so there’s, so most of the changes just go to those, those types of differences and you can go through one by one and I can explain you know why The Notebook was a little bit different here or why A Walk to Remember was a little bit different there. And usually the changes are made to keep it more in line with what the book was trying to achieve. MS: (Regarding Three Weeks With My Brother – a book about a trip around the world with NS and his brother) What was the hardest thing about the experience of taking the trip and writing the book? And what was the easiest? 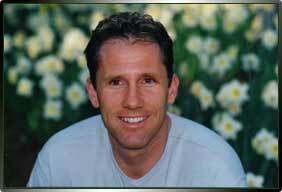 Nicholas Sparks: The hardest thing about it was, and I spelled it out in the novel or in the memoir. It was twofold. It was going, you know just going. I was at a point in my life when I was very, very busy. And then number two, finding a way to enjoy it. And that was really what the journey that I was going through was about. It was, that was an important part of my journey. So that was the most challenging part, the most challenging part about writing it was reliving experiences that I’d rather not get emotionally close to again. It’s, you know there were a number of tragedies that struck my family and I needed to go back to those places, put you back in there. You really have to work to do that. That’s a very painful place to be. It became very real for me again. So those were very, that was that. For the good things look, traveling the world with my brother is an experience that I’ll never forget and it’s something most likely we’ll do again. And the best part about writing it was the fact that I knew the story. I mean I knew it in and out. MS: Now when you say finding a way to enjoy it tell me a little bit about that. Letting yourself go to enjoy the trip? Nicholas Sparks: Yeah. Both. I mean it was, I have a lot going on. I have a lot, I had a lot going on. It was not the time for me to take that trip. And so by the time I went it felt almost as if it was a burden to go. And that is a shame because that is, that reflects an imbalance in your life. And to correct that imbalance took time. MS: Has your wife taken a similar trip? MS: Does she plan to? Nicholas Sparks: I know, yeah, maybe not three weeks but without question. TO: I’m a teacher and teachers are readers and so are my co-workers. And one of them asked me when I mentioned I would be talking to you, said oh ask him about the titles. Because we’d noticed that the titles at first glance seem so simple on your books. And then as you read the story there’s such a deeper meaning to each one. For example, The Rescue. Nicholas Sparks: Of course. The titles are chosen very carefully and the titles are usually chosen after the fact, after the novel is written. And they are meant to do exactly that, reflect a deeper meaning to the novel. And you know there’s this real fine line between being too schmaltzy with the title and then being too hard with the title. There’s a real fine line between appealing to both men and women with the title. And so you’ve got to find the right balance and then of course make sure it has meaning. So titles can be very challenging to be quite frank. Nights in Rodanthe is currently in theaters. Look for the full details of my 1st trip to NYC in upcoming posts. I’ll also be adding photos as I get them edited and captioned. The Ziegfeld Theatre, built in 1969 just steps from the original Ziegfeld Theatre, is said to be one of the last real movie houses built in America. It’s located on 54th street in Manhattan and has recently been the location of many movie premiers including Mama Mia, Dreamgirls, National Treasure – Book of Secrets, Made of Honor just to name a few. 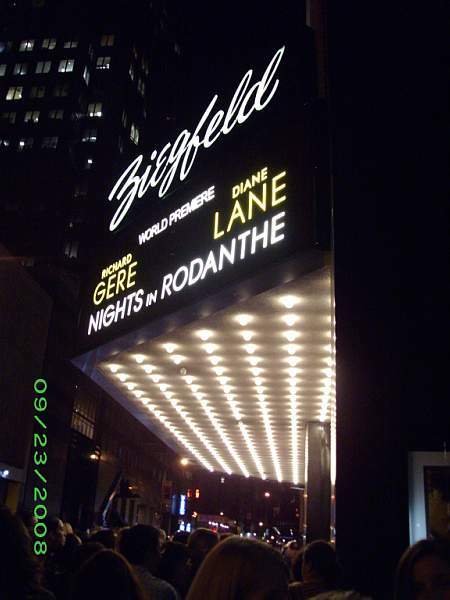 On Tuesday, 23 Sep 08, the Ziegfeld Theatre hosted the world premier of Nights of Rodanthe, starring Richard Gere and Diane Lane. We arrived on site about 6pm, running late from our dinner at Carmines. There was a HUGE line and I was sort of freaking out thinking we would be late getting inside on time. My mom without skipping a beat walked up to the front to say “We are guests of Warner Bros” and we were quickly taken care of. Who knew!?? How strange to say “we are quests of WB??”. We walked by the red carpet, who my mom would later say, “what red carpet, I don’t remember seeing any red carpet?” I told her, yes mom….you walked right by it! ha! Anyway, we entered the theater that was decorated in velvet red carpet and chandeliers. We were treated to complimentary popcorn, soda and water. The staff was so friendly and the New Yorkers in attendance were also friendly. We found our seats, row H. That is row 8 people. Row 8! Thank you Andrea! We sat for sometime wondering just were the stars might be coming in or where they might sit. In the end we hear the crowd rustling and discovered they are sitting behind us about 3/4 of the way up. My pictures are pretty dark, so I won’t post all of them here. Instead I’ll link to the “professionals” here, here and here to let you get a good look at all the stars which included Richard Gere, whose hair was “white white” and Diane Lane, whose about as big around as my wrist and author Nicholas Sparks who surprisingly was wearing a button up shirt with a simple leather jacket. When the lights dimmed everyone took their seats. There were no previews to watch or commercials, the movie just started. Something I thought different and unique; when an actors name came on screen the audience clapped for their favorites, including for the director and of course the author of the book the movie was based on. This also happened with Richard Gere came on screen, the audience went crazy. I have to say going into this movie I was ready to be disappointed. I enjoyed the book, but I’m not the biggest fan of Richard Gere. Frankly, I was nervous on whether Diane Lane would keep her clothes on. I had seen Tuscan Sun and really liked that movie, so I tried to have an open mind. Let me just say this movie really does sweep you away. I felt the entire audience was lost in the movie and at certain scenes there was not a dry eye in the house, classic Nicholas Sparks. How does he continue to tug at our heart strings and make us fall in love with the story and his characters….it’s amazing really. I do have to say the not-so-nice part of this movie is that in fact Diane Lane’s character is still married when she has this affair with Richard Gere’s character. There is one scene where her wedding ring is clearly visable as they are cozying up to one another which I found awkward. It’s important to note, this is the fourth of Nicholas Sparks novels to be made into films. Message in a Bottle in 1999 (with Kevin Costner, Robin Wright Penn and Paul Newman), A Walk to Remember in 2002 (Mandy Moore), and The Notebook in 2004 (Ryan Gosling and Rachel McAdams). Diane Lane does an amazing job and I think should be nominated for her performance. This movie is so visually beautiful, it made me miss the coast even more than I already do! I’m sure there were lots of things I missed so I plan on seeing it again this weekend. Nights in Rodanthe is the next Notebook. Hope you go to see it and let me know what you think! 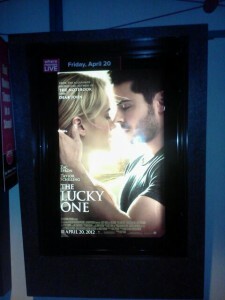 Look for the latest Nicholas Sparks book The Lucky One to be released Tuesday, 30 Sep 08! Nicholas Sparks’ Nights in Rodanthe – Watch the Trailer and Enter the Giveaway! Recently on Navy Wife Radio we announced the winners of our first ever contest! 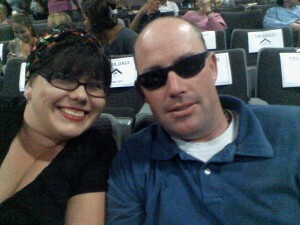 Here are the winners of our Nights in Rodanthe contest. Kelly was the winner of the best comment. We’ve notified the winners via email and they will be receiving their FREE *Nights in Rodanthe* book by Nicholas Sparks shortly. Thank you to everyone who participated in the contest! We hope to bring you more book contests in the future! A big thank you to Andrea who made this contest possible! Click the photo to order the book from Amazon.com. I have so much to update you all on the past week since we announced the winners!